This is a sponsored post, I received a Miracle-Gro AeroGarden ULTRA LED to review via the Kitchen PLAY network. All opinions are my own. 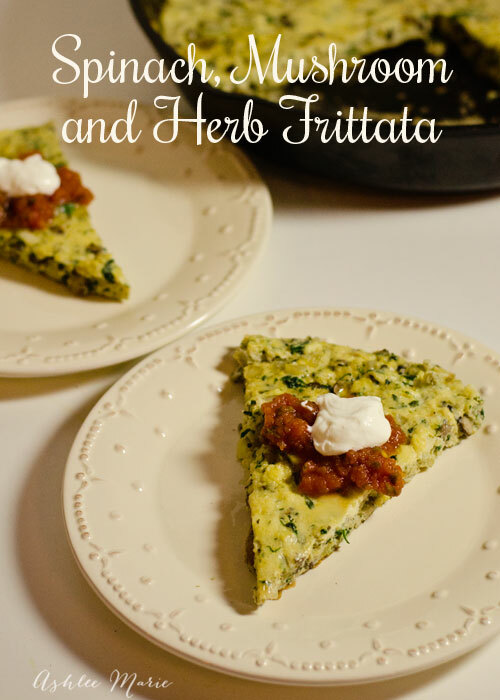 So I’m a little obsessed with breakfast foods, and I love amazing egg dishes, but I’ve never really tried frittatas. 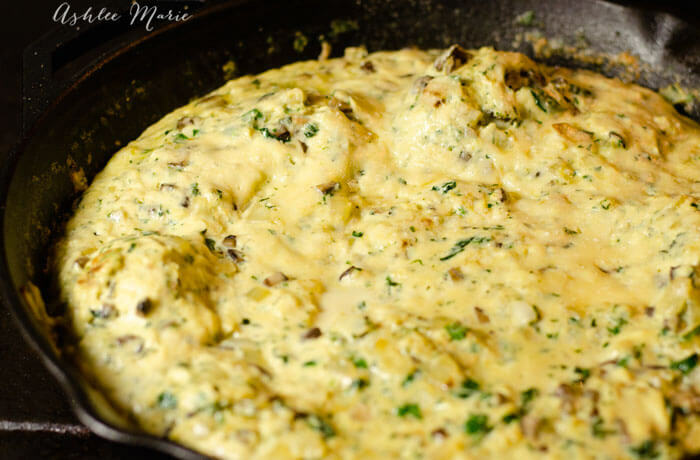 I love omelets and scrambled eggs so I knew I would LOVE them… and I was right! My husband is such a huge fan of this dish that he has asked me to make it every week! 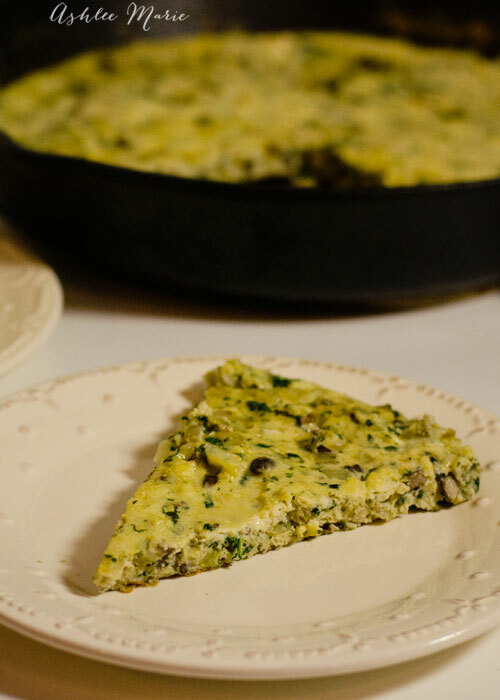 We’ve decided to switch to a “no cold cereal” household for awhile so I can’t wait to experiment with other flavors and create a few more frittata recipes. Remember my first post on my Miracle-Gro AeroGarden? It’s been another 2 weeks and everything is ready to cut and use! I told you I love cooking with fresh herbs, but I hate buying them, I never use the entire bundle before it goes bad. SOOO growing my own, and having them right on hand and ready to cut and cook with has been AMAZING! I’ve used them in a few recipes already and it’s so easy, and SO delicious! I had to cut back both the Genovese and Thai Basil, the Dill and the Chives around week 3. It’s better to keep the tall ones pruned back so the smaller ones can keep growing with the lights as low as possible. When they all start getting taller you can move the lamp arm up. 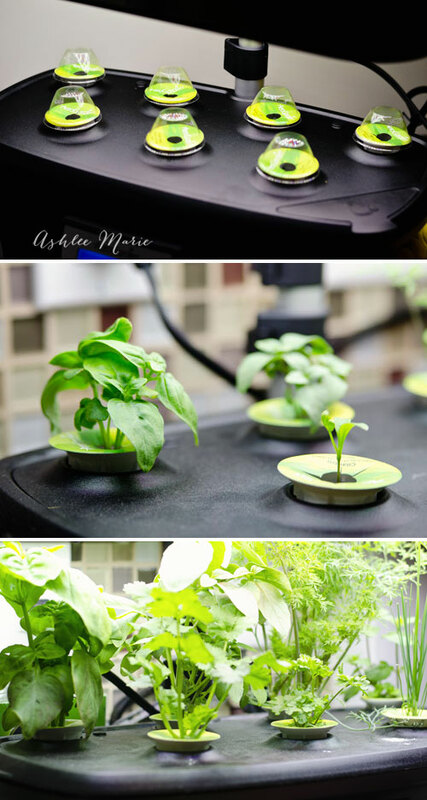 I actually used 5 of the 7 herbs from my Miracle-Gro AeroGarden ULTRA LED in this recipe! Herbs can be expensive so being able to use multiple herbs in a recipe is unusual for me. It makes such a difference though and tastes amazing. I also did grab some thyme from the store, but buying just one wasn’t as big of a deal when so many were right on hand. Meanwhile beat together the eggs, egg whites, milk, flour, salt and pepper. Turn the heat to low and add the egg mixture, stirring to evenly distribute everything. Bake 10-15 mins until the top is set and slightly golden. I honestly thought only my husband would like this dish. Amazingly ALL the kids loved it! I love recipes that are win-win. I like and the kids like! It’s rare, but it does happen! I love the subtle balance of all the herbs with the spinach and mushrooms. The cheese on top was subtle but a nice touch as well. I’ve tried a few different cheeses (I love cheese) but the rest were all just a bit too much for this dish. My kids liked it with salsa and sour cream, but the flavor is so great that my husband liked it plain, and I enjoyed just a touch of sour cream and a sprinkle of more Parmesan! 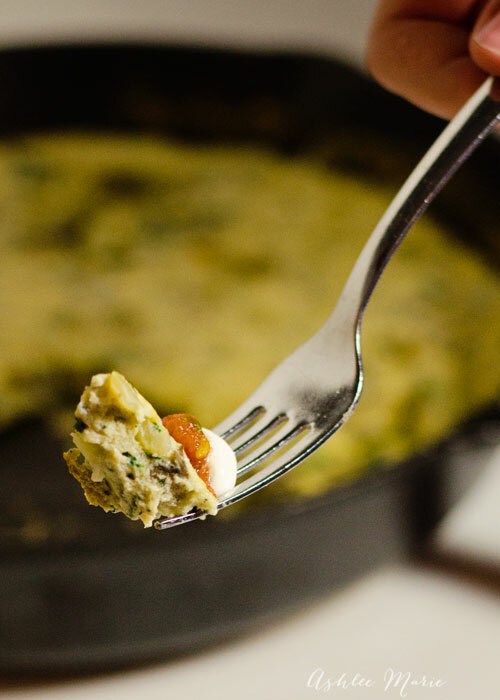 What are your favorite flavors in a frittata, or in any egg dishes? I’m looking for a few more flavor combos to experiment with! Admit it, you want one now, huh? You can buy your own Miracle-Gro AeroGarden ULTRA LED from Aerogarden.com. You can also find the AeroGarden 3SL at Walmart.com and select Walmart stores. The ULTRA LED (like mine) is available at Costco.com and select Costco stores. I love using spinach in my cooking, will definitely try this recipe – a great share. This sounds good too, thanks very similar to the one I make…..reminds me I need to make one of these….. I don’t know why I don’t make them more, so easy and so worth it.